Chicago-based digital marketing solutions provider, Liquidus Marketing, was recognized today by Inc. Magazine as one of 2017’s fastest-growing, privately-owned companies in the U.S. Liquidus ranked 2,358 on the 36th annual list with a 3-year growth rate of 153% and 141 employees. 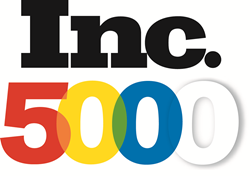 This is Liquidus’ second appearance on the Inc. 500|5000 in the last three years. In 2015, Liquidus ranked 3,961 with a 3-year growth rate of 74% and just 39 employees. In December 2016, Liquidus acquired Cofactor from TEGNA, combining two robust product suites to offer advertisers end-to-end digital marketing solutions that drive engagement and sales. Liquidus continues to build its product portfolio and expand into untouched verticals as the demand for digital marketing grows. Liquidus joins well-known brands like Orangetheory Fitness, Digiday, FabFitFun, Pinnacle Group, S’well, and Halo Top Creamery on this year’s list. About Liquidus Marketing: With over 15 years experience in digital marketing and technology, Liquidus provides advertisers with cutting-edge products and cost-effective solutions to drive sales across a plethora of verticals. Liquidus’ display advertising platform combines programmatic media and its proprietary ad technology, Bannerlink, with a team of seasoned digital media buyers that have access to the most cost-effective means to reach in-market consumers. Liquidus acquired Cofactor from TEGNA in December 2016 inheriting data distribution capabilities promoting localization and personalization.